Advanced conference facilities with access to video conference. Hotel Riverton is a four-star hotel, boldly placed on the border of sea and land in central Gothenburg. Place your conference in a wonderful setting in central Gothenburg! Welcome to a four-star conference hotel in the City of Gothenburg! Thanks to its unique placement in the city with nature near-by, Trädgårn offers endless possibilities! Meetings in modern premises in the city Close to the Opera. Book a conference in Gothenburg! 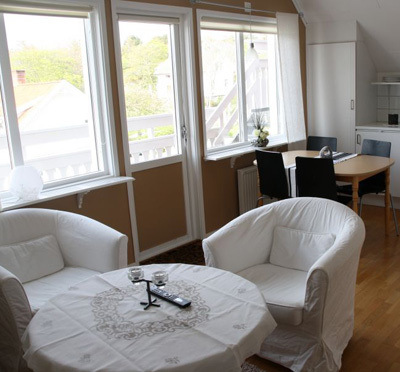 Hotels with conference facilities, meeting rooms for day conferences and classrooms in Gothenburg, both centrally in Gothenburg and in the surrounding Gothenburg region. Having a conference in Gothenburg means opportunities for a multi-faceted meeting. The city consists of a rich and varied range of conference facilities, ranging from modern city hotels and centers to classical hotels. In Gothenburg's immediate vicinity there are also several high-class conference facilities close to the sea and archipelago. The range of entertainment, dining and shopping makes the conference easy to combine with pleasure in social events. Pricing in the conference industry varies greatly. The cost of arranging an event in Gothenburg can differ greatly between two comparable conference facilities. The price may vary from one week to the next depending on factors such as occupancy, availability and choice of weekdays. Some weeks there is high pressure, for example, during a week when a major congress or event is taking place in the city. Then, the options are reduced and the price is strongly affected. Through our network, we will help you quickly and easily scan the available hotels and conference rooms so you can easily find out what is really affordable in Gothenburg for your conference. You get a clear summary of both total cost and all details specified for each facility that offers the desired capacity, suitable location in the city, right "style", etc - all according to your specific group's needs. Do you have a total budget? There are basically facilities for each budget. Give us your budget frame and we'll look for best option based on this. For some weeks, this may require also searching amongst all the valued facilities that are located a bit outside the city center. Well-known conference hotels in Gothenburg city include the Profilhotels Hotel, Hotel Riverton, Elite Park Avenue Hotel, Elite Plaza Hotel, Radisson Blu Scandinavia, Quality Hotel Panorama, Clarion Hotel Post and Scandic Crown. For conferences in some smaller groups, classic Hotel Eggers is an appreciated option. An affordable conference hotel not far from the city center is Kviberg Park Hotel & Conference . With a high-rise, 18-hole golf course and award-winning Spa, just outside the city center is the elegant Sankt Jörgen Park Resort. If you are planning a conference without the need for an overnight stay, there are some really nice day conference facilities in Gothenburg. For meetings in a results-oriented environment with a lot of “competition”, try the Ullevi Restaurang & Konferens venue with 14 conference rooms and 10 group rooms. Lyckholms Restaurang & Konferens located in central Gothenburg's southern part offers a mix of beautifully appointed conference rooms. Central Huset next to Central Station is another highly valued alternative for effective meetings in the center of Gothenburg. Also Grand Hotel Opera is a popular and affordable meeting hotel for day conferences. Looking for modern conference rooms with state-of-the-art technology and high flexibility for different types of meetings, the Chalmers Conference Center and Lindholmen Conference Center are definitely worth looking into. For the really big meetings, events and congresses in Gothenburg,you have Gothia Towers, whose largest conference room offers space for up to 1,500 participants. A bit outside the city center, next to Gothenburg harbor inlet, is Arken Hotel & Art Garden Spa. Arken is a large conference hotel with rooms of all sizes, the largest congress hall with capacity for up to 1000 participants. Centrally located in the city is the relatively newly opened hotel Clarion Hotel Post, which offers 500 hotel rooms and conference rooms that seat up to 1000 participants. Central Booking - Gothenburg; Digital procurement service with cost comparisons, quality reviews and bookings! Through Kontur Konferens´ central booking agency you will reach all conference facilities and hotels in Gothenburg. Make your request specificly at one or several hotels - or let us find all the facilities in the city that match your criteria and have required capacity available. You get comprehensive presentations and cost comparisons in our Digital Booking Support , where you can also evaluate each altrnative's quality reviews from other customers. The procurement service is free to you as a customer and is funded by the more than 60 conference operators in Gothenburg that participate in the network.